Today marks the celebration of Krishna's birthday. Many people say that God doesn't take birth. Why should God take birth? Why should He do that? Devotion. God cares about his devotees. God is the object of devotion and He takes birth for the pleasures of devotion. People who say that God doesn't take birth, say as a challenge that God's all-powerful. But for the same reason, people leave all doubts behind to worship that all-powerful God. When God can do everything, then why can't He take birth? If there's even one work He can't perform, then how is He all-powerful? Tulsidas says that God can make a fly the size of Brahma and Brahma smaller than a fly. So intelligent individuals, without any doubts in His might, sing His praises regularly. So how do we sing His praises? How and where can we meet Him? Lord Krishna says, "Nothing exists in this world outside of Me. The whole world is contained in Me like the pieces of a garland and I am to this world like the thread that holds the garland together." All the scriptures say that God is omnipresent. In the Gita, Krishna describes all the various forms that God takes, all the forms which God manifests, but even though God is in the Himalayas, the Ganges, in every Pipal tree, in the sun and in the moon, God cannot be seen in those things. So, to answer the problem of finding God, Saint Tulsidas revealed the path to see God. Shri Guru Maharaj Ji, who in reality is Lord in human form: I praise His Lotus Feet, by whose one Word the darkness of ignorance is dispelled and God and His secrets start to become visible - become visible in the same way that you start to see the qualities of the Earth when the sun rises, making the darkness of the night go away. Ignorance, darkness - these are nothing in reality. If there's no Knowledge, if there's no Light, then there's ignorance, there's darkness. We can go to someone and ask about some man and maybe the reply will be that the person we're looking for isn't present. He's absent. If suddenly that person shows up then where has his absence gone? What happened to his absence? 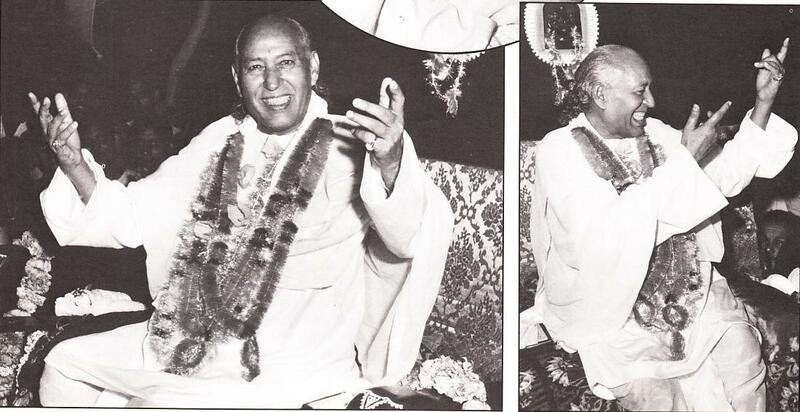 our hearts by the Grace of Guru Maharaj Ji, then God is visible in the heart. Because God lives in everyone's heart. Krishna told this to Arjun, that God is present in the heart of all beings. This is also said in the Ramayana. There it says, "O God, being present in everyone's heart, You know the good and bad feelings of everyone." So because it's written in the Ramayana and the Gita, you read it and tell others about it. You have faith in these books. So why don't you behave according to what they say? If you don't, then there's a difference between what you say you do and what you actually do. This is cheating and a bad feeling for God. Because if God lives in your heart and knows your good and bad feelings, how can God be pleased with you? And without His pleasure, how can your devotion be successful? So what does the Gita order? The Ramayana? Adopt such a true Guru who can really bring Light in your heart, who can remove ignorance. Guru Maharaj Ji talks about the Name of God. What about that Name? If it's asked what's the Name of God, people may say "Rama." But it's also Hari, Krishna, Narsingh, Allah, Khuda, God. It's also all those. But uttering all these names, you can't become a scholar like Valmiki or respectable like Ganesh Ji or free from troubles like Prahlad. So what's that mean? It means you haven't got that Name now. And without it you can't be free from troubles, you can't be happy. It's said that by remembrance, you can be free from troubles. It's said that happiness comes from remembrance. One realizes God by remembrance. If, by the blessings of God, there's the chance that a person meets the Satguru and there is full confidence in His Word, and by all determination you leave all your desires - if you take up that devotion with all humbleness - then everything will go very well for you. Devotion to Lord is like an herb that restores life. Without this, there can't be any real peace. Happiness and salvation can't be found in other ways. But this devotion is something - it isn't something that you are actually doing. One devotee, Kakbushandi Ji, has said that devotion is always and eternally one. It gives Light which removes all anxieties, which removes all troubles. Like that mythical jewel called chintamani, a gem that glows constantly, that Light remains the same both day and night. It's self-effulgent. It's lit by itself. There's no need for a lamp. There's no need for ghee or other things. In comparison to this devotion everything is smaller and mean. So Kakbushandi Ji asked the Lord for this Word. Lord was pleased with him and he could have asked for anything - for pleasures, for salvation - whatever. He could have asked for knowledge that's rarely found even among seers. Lord would give him anything he liked. Lord said he would give him pleasures or salvation, but leaving all this he asked for devotion, the devotion that has been sung about in all the Vedas, the devotion that is sought by yogis and munis - the devotion that only rarely people get. He said, "Lord, you are the sea of kindness and happiness. Give me that devotion." The reason he left everything else with God and asked only for devotion is because Lord controls devotion. So devotion should be taken because when devotion will be with you, then Lord will also be with you and when Lord is along with you, then everything that belongs to Him will be for you. But Knowledge of God, the experience of devotion, should be both a reality and yet secret. There are three things. There's the person doing meditation, there's the meditation and there's the object of that meditation - devotee, devotion, Guru - bhakta, bhakti, God. So what you meditate upon - the object of meditation - is what you become in qualities and in actions. If you meditate upon the things in this world, then you'll be like the things of this world. And when the world goes, if you meditate on it, you will go just like it does. If you don't know God, if you don't know the object of meditation, then where will you meditate? Where will you concentrate your mind? Let these scholars and authorities of today tell you. This was the condition of Arjuna, too. He first tried to make God understand. So Krishna said, "Arjuna, you talk like a scholar but you're behaving like a fool. Not knowing the soul, you love this body, which one day will perish. Go to the people who have realized Knowledge, the people who know the secret of life. Pay homage to them. Leave fraud and cheating behind and serve them with humbleness. Please them. Then that Master that knows that Knowledge will give you that Knowledge." But Arjuna immediately thought that if he didn't have Knowledge, then why talk about it? Why go anywhere else? Why not acquire that Knowledge from the Master now? So leaving fraud, he immediately went in His shelter and prayed that now that I am in your shelter, please do what's good for me. So Lord took him into that shelter and freed him. But you do fraud. And those who do that, all their deeds and all their religion just go to waste. Lord gave Arjun the remembrance that can be done regularly and said he should remember that Name at all times and also fight while doing that remembrance. In that way, offering the mind and the heart, then without any doubt, Arjun would obtain Lord. Guru Nanak said this in simple language, that while standing, sitting, sleeping, waking - any time that God is remembered, then God is realized or achieved. And when you get that Name from Satguru, from Guru Maharaj , and you practice it and do meditation, you'll also have that experience that these saints talk about. "When there's Satguru's Knowledge there's no need for anything else. There's mental concentration, spiritual concentration, a concentration of the heart, there's pleasure and the experience of peace." of its own, how can it put its attention on its calf? Unless you meet God, how can you meditate? But when there's Knowledge and the practice of Knowledge, you can "sing that devotion" in your heart while doing anything. Just like a man driving a bicycle moves his legs, talks to his friends, looks around here and there, and still thinks about where he has to go. He always keeps that in mind. So you have to first have Knowledge. You have to first have the address of your goal. Only then can you do everything to reach there, to reach to that highest place. But this can't be achieved without the shelter and blessings of Guru Maharaj Ji. It's said that the Vedas, the scriptures, don't know the glory of Guru Maharaj Ji, only the people who narrated them know that glory. Because the glories of Guru Maharaj Ji are innumerable. Some people say that nothing's true if it's not in the Vedas, in scriptures, but then in which scripture does it talk about Mahatma Ghandi making India politically free? And in which scripture is it forecast that Mohammed, Christ, Swami Dayanand Ji and Kabir would come? So, in the Vedas, the glories of Guru Maharaj Ji are said to have no end, no end. Lord Krishna, singing the glories of devotion and this supreme Knowledge said, "0 Arjun, because you do not see fault in anyone, I will give you that secret Knowledge with all of its mysteries, knowing which you will be free from this world which is full of troubles." This Knowledge is the king of all knowledge, the king of all mysteries, and it is very sacred, it's very practical. It gives immediate results. It is the practical religion; it's the religion that can actually be put into practice. In the Gita and in the Ramayana, it s said that you must get this Knowledge. And you can only get it from Satguru, from Perfect Master. And you should ask initiators for this Knowledge. People of today believe they don't need this Knowledge. People of today are like a sieve, like the okhli and musal. It's like, okhli is a container, a pot, and the musal is like a pounding stick and with those you separate the rice husk from the grain. But the okhli keeps both things in it, both the good part and the bad part of the rice, even though it's been separated. Then there is the kind of sieve which actually throws the good thing away but retains the thing of no use, the husk. In the same way, some people are like the okhli. After listening to satsang, they say that satsang is good because it agrees with the scriptures but then they go right on doing what they were doing before they heard satsang. They say, "We accept it all." But then there's no practical change in their lives. There are people who are like sieves. They go in search of bad things and fill their hearts with them. They don't even want to know about Light and true Name. They don't even know why anyone would talk about these things because, to them, they just say that you might as well worship stones and carry garlands made out of wood. It's very rare for someone to have the nature of the sup. The sup is that kind of sieve that keeps the rice but lets the husk go all away. It throws the dust away and keeps only the good. This is the kind of person who rejects fire sacrifices, rituals which are external, and seeks out the real devotion, the internal devotion, about which the Lord has spoken. So we celebrate Krishna's birthday - we constantly celebrate it, but we don't accept what he taught, his teachings and his guidance. We don't try to have that heart of a child like Arjun but we try to be like Duryodhana, who opposed Lord Krishna, and like Shishupal, who always criticized Lord Krishna. So how can we gain any advantage from celebrating this birthday? Because of our pride, we don't ask for Knowledge with humility. I mean, people talk about selfless deeds. In the Gita, it talks about deeds, it talks about karma and doing selfless deeds. But you people think - these scholars of today think - that you have to study about karma and selfless deeds and the person who studies these things is a person who has knowledge. You think he is a mahatma, a great soul. But the person whose guru is a scholar, ask him what he knew before he had the guru. Ask him what the difference is in his experience before and after he had this guru. Real selfless action begins on that day that we acquire that Knowledge of Satguru, of Guru Maharaj Ji. The scholars of today have kept the world in meaningless darkness. You think that the Gita Press is doing good for this world by publishing magazines but these magazines destroy the scriptures because whatever they can't understand with their intellect, they change. There's a woman who says that the purpose of this life is something realized in the future, in the far distance. But if you don't complete the purpose while you have this human body, how can you complete it after when you'll be a donkey or a dog? This lady is not a great scholar like Ravan but even Ravan said that you shouldn't put off good things until tomorrow. You should do things today and if this lady is talking about the future, then … I mean, there are people who are like agents of death because they try to talk people out of utilizing this human body, out of taking advantage of this human body, which is rare even to the gods. Lord Ram said that everything can be done in this human body. The scriptures say this human body is rare even to gods. In this human body it's possible to achieve salvation. Even after getting such a chance, if someone doesn't actually do what is good, then he's going to suffer all sorts of troubles and then incorrectly blame God, time or deeds. In this human body, devotion can be realized, God can be realized. Guru Nanak has said this but people of this world, all these great scholars, don't search within this human body. They search the Gitas, the Vedas - all these scriptures. They say that everything is in the Gita but they have no real confidence in this or why would they go to Hardwar to bathe in the Ganges? Why don't they just take a dip in the Gita? Why do they go to the Himalayas to get stones? Why don't they go to some other mountain? Why don't they just get their rocks right out of the Gita? Why do they make fires? Why not cook their bread over the Gita? What do they wait for the sun to rise for? But God says that Knowledge is achieved by one-pointed devotion, by single-minded devotion. What does the Gita say about devotion? When attention is fixed in God there is no knowledge of big, low, small or high, karma, dharma. Just "super-pleasure." And whoever gets this pleasure never leaves it: Mira Bai, Prahlad, Saint Kabir, Saint Tulsidas, Monsoor, Lord Christ … These devotees and these saints were given a hard time but they didn't care in the least. Because they were fully involved, fully engaged, in God's never-ending, eternal "super-pleasure," that indestructible "super-pleasure." So how could they leave it? So how do we experience that? How do we experience that Light? You know, there is a description in the Upanishads that in meditation, first you see dark smoke, then fireflies or lightning bugs, then marble. To be able to experience this is the sign of the experience of God, the realization of God. Just like in the Gita, it's written about that "highest seat" that it's such a place where there's no light from the sun, no light from the moon, no light from a fire. It is self-effulgent. That is that "highest seat" where, when a man reaches there, he doesn't come back. Guru Nanak says, "Light is mixed in Light." When you see that Light, you will be completely mixed with that. You see, the light emitted by a lamp, by a candle, the light from the stars, the moon, from the lightning bugs - all these lights are sometimes on and sometimes off. They increase and decrease. This Light is not like that. Guru is like the sun that removes all darkness and even takes others within himself in that Light. And just like the light of the sun, there's no need for any additional thing: A small lamp just isn't needed when the sun rises. When the sun is shining, you don't have to bother about lamps and when there is Satguru's Knowledge there's no need for anything else. There's mental concentration, spiritual concentration, a concentration of the heart, there's pleasure and the experience of peace. Then there's no need for Vedas, fire sacrifice and different things. You can just forget about them and concentrate upon that "Super-Light!" And when you have that concentration, do you know what's there? Everything ends there; all ends there. It's such a thing, but if you don't understand it, if you don't know it, then what are you going to get out of reading the Upanishads or some scripture? You just waste your time. You just waste your effort. There's this discourse Narad's Guru gave to Narad. And what he says is, "Narad, you know four Vedas, you have 14 types of worldly knowledge, you have attained 64 powers and yet till now whatever you know is just ignorance. Real Knowledge is somewhat different. It is the Knowledge by which God is known. God is written about in the Vedas but so are a lot of other things. It's only written about there. In reality, God isn't there." someone writes "G-O-D" or a particular thing in the scriptures, it doesn't mean that God enters into that book. There are four blessings that are given to a being. The first is from God who has given this human body. The second is satsang which points out that we should go to Guru Maharaj Ji to receive Knowledge. The third blessing is Guru Maharaj Ji who gives that Knowledge. And the fourth blessing is "self-blessing," the blessings of our own effort. But the real blessing in all this is Guru Maharaj Ji because when Guru Maharaj Ji is pleased, he gives Knowledge of Truth. Guru Maharaj Ji doesn't ask us to chant "Rama Rama." He doesn't ask us to chant some mantra or mutter incantations. He gives Knowledge of Truth. By saying "Rama Rama," can a parrot get out of its cage? So how do you expect to obtain freedom from this world by chanting it? Salvation is only by the blessings of Guru Maharaj Ji, the Grace of Guru Maharaj Ji. In Satyolak, a Moslem came to me. I asked him that when you offer prayers, where does your mind remain? He said, "In God." I asked him not to lie and he again said, "In God." Then I said, "Well, when you offer prayers, don't you have to think about when to get up, when you're going to sit, when you're going to speak, now you're going to hold your ears, now you're going to offer sijda?" Then he said that, yes, such things were on his mind. Then I said, "Well, when your mind is on all these things, then how can it be in God?" Then he said that in reality his mind is not in God. But even then he didn't ask to be shown the path which would allow him to fix his mind upon God and to offer real prayer. Perhaps because I wasn't a Moslem he didn't ask me. But when you go somewhere and you ask for directions, do you care what caste or creed someone is? Do you worry about whether they are young or old if they can direct you where you want to go? If these things don't make you hesitate when you're asking for directions to go someplace in this world, why hesitate to ask for that path to the supreme abode, to liberation, because of caste or creed? What is there to feel ashamed about? I mean, why don't you think about this? You see that Mira was an empress and yet she made Ravidas, who was a shoemaker, her Guru so that she could get that benefit and know that real thing. Sukadev Ji was a renunciate and a Brahmin but he made King Janak his Guru, who was a member of the warrior caste and who had a family. Before Mira Bai and Sukadev went to their Gurus, they didn't know how to say, "Rama Rama, Krishna Krishna, Hari Hari?" To know that, they made such a great offering? No! They did what they did to know the real Word, so that they could obtain salvation. "At night, everything is still there but why can't it be seen? It's just due to the absence of the sun and when the sun rises, everything can be seen. So in the same way, when Knowledge, like the sun, rises in our hearts by the Grace of Guru Maharaj Ji, then God is visible in the heart. Because God lives in everyone's heart." "It's said that by remembrance, you can be free from troubles. It's said that happiness comes from remembrance. One realizes God by remembrance. if, by the blessings of God, there's the chance that a person meets the Satguru and there is full confidence in His Word, and by all determination you leave all your desires - if you take up that devotion with all humbleness - then everything will go very well for you. Devotion to Lord is like an herb that restores life. Without this, there can't be any real peace. Happiness and salvation can't be found in other ways." some flowers. He asked the worm why he crawls around in the excrement. The butterfly said, "Let me take you to heaven." So the worm asks him what happens in heaven and the butterfly says that there's pleasure everywhere. There's good smells. To show this, it took the worm to a garden and they started enjoying the fruits and flowers. By chance, the gardener came there and picked them up along with a bunch of flowers. The worm and the butterfly were hidden in the flowers. Then they were taken to the temple and these flowers were put on Lord Shiva as a garland. So there was such great pleasure there. Then the flowers faded and they were tossed back in the dust. The butterfly returned to the garden but the worm remained in the temple. And when the butterfly went back to the temple to look for him, he found the worm there, still making lumps out of excrement. The people of today are like that. They are in doubt about whether they'll get the true Knowledge or not. They don't leave that hell. They have pride and they turn their face away from Guru. They return to that hell of desire, the hell of lust. But you should think this over. Knowing the true thing you should catch hold of it very strongly. You should ask what the correct place is upon which to concentrate your mind. Saint Kabir said that without the Knowledge of the Word, the mind wanders. A lot of time passes making garlands, so leave it, and make that "garland" within the heart. Lord says that mind is brought under control by practicing God's true Name. And what is called God's true Name doesn't come within the sphere of reading, speaking or writing. If you ask the Bombay police for directions you can reach your worldly destination. In the same way, Guru knows the place you need to go and gives the Knowledge of that Word, reveals that Word within inside you. What is the meaning of "Updesh," the second world where that "highest seat" of God is, where when you reach, when a man reaches it, he doesn't come back? Who takes you to that highest place? The one who can do that is the person who can really be called the one who does good for others. Know what the Vedas and all these scriptures only have written in them! 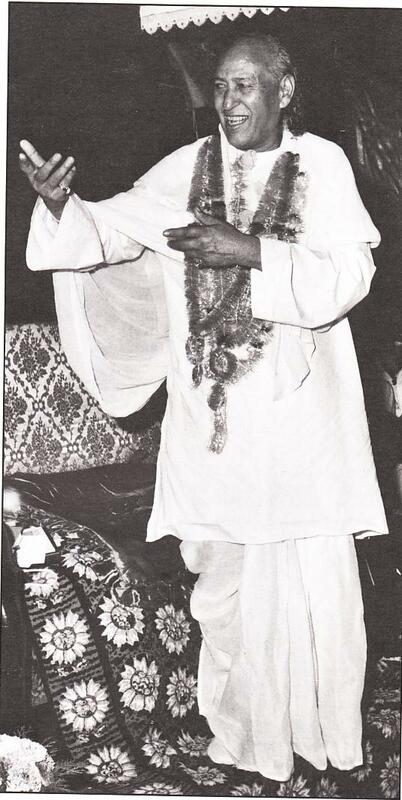 Guru Maharaj Ji once said that it is difficult to fully appreciate Shri Maharaj Ji's satsang without knowing the exact context in which the satsang was given. 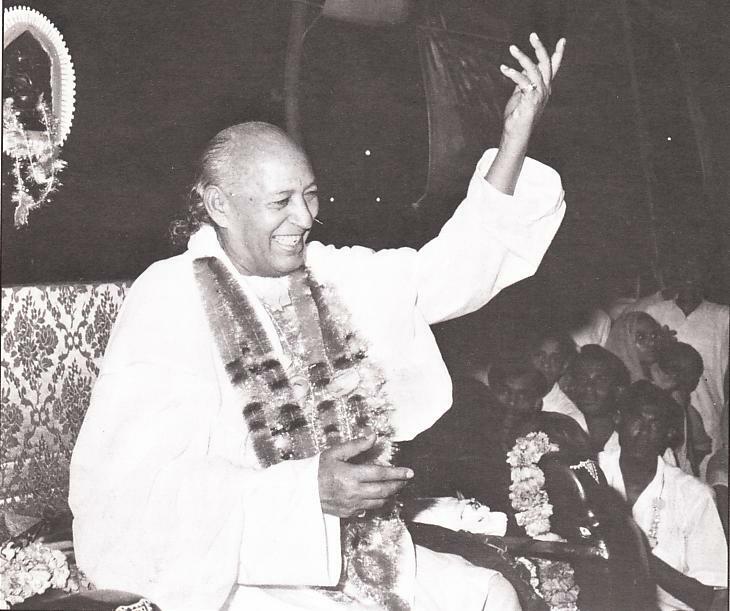 Often Shri Maharaj Ji referred to a recent event, another speaker or gave an example for the specific benefit of a person who was listening. Also, please understand that all of Shri Maharaj Ji's satsangs printed in English are translations.